What will the future of travel look like? Experts from the aviation industry from all over the world came together in the 8th MATERNA Aviation Forum to debate problems and present solutions. All experts agreed: Increasing passenger numbers inevitably lead to long waiting times and problems at the airports. 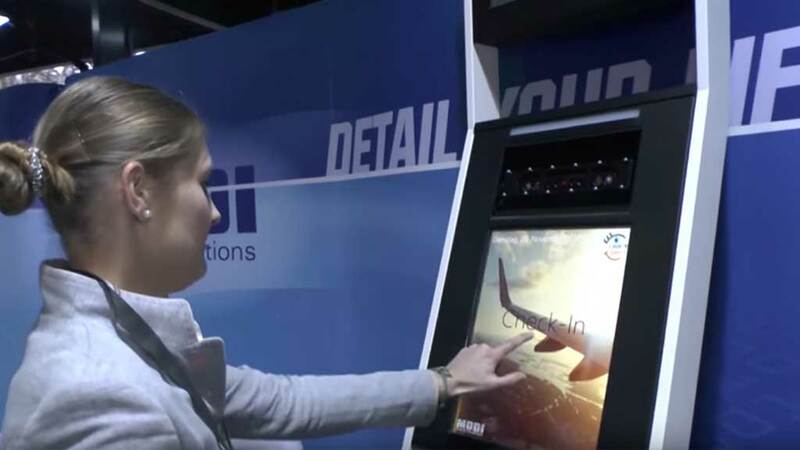 MODI Vision was able to impress the experts with its biometric solutions, such as the FaceBar, the FaceScreen, or the VisionGates for the biometric future and the paperless airport. In the test setup from MODI Vision, the experts were able to convince themselves how simple and secure the biometric procedure is. From registering with a smartphone, computer or directly at the terminal, to entering the VisionGate, the biometric method promises a fast passenger flow without them having to get out an ID card or a boarding pass. Welcome to Paperless Airport by simply smiling and moving on!